On a clear day, standing atop the 250-foot-tall mound of earth, you can see sweeping views of Rhode Island and beyond, from the Superman Building in Providence and the Pell Bridge in Newport to the cooling towers of the Brayton Point Power Station in Somerset and the Fall River skyline. The sights are breathtaking, as are the fumes of the surrounding 270-acre landfill, which is where the mountain of trash sits. In early November, Clean Ocean Access (COA) organized a tour of the Rhode Island Resource Recovery Corporation (RIRRC) and Materials Recycling Facility (MRF), located off I-295 in Johnston. Twenty participants engaged in a 90-minute interactive tour, during which they learned about the afterlife of trash and the rigorous waste management processes at RIRRC. Phase VI, the active section of the landfill. Compressed to take up as little space as possible with as little contact to the open-air environment, Rhode Island’s trash is trucked out to the Johnston landfill where it is lined, buried and covered, layer after layer after layer. This process of controlled and isolated disposal ensures that the landfill is sanitary, as opposed to an open dumping ground. Aboard the tour bus, wide-eyed participants witnessed phase VI of the landfill, the section where trash is actively being dumped and compressed, as well as the Small Vehicle Area (SVA) for special bulky items and the Eco-Depot that houses household hazardous waste. 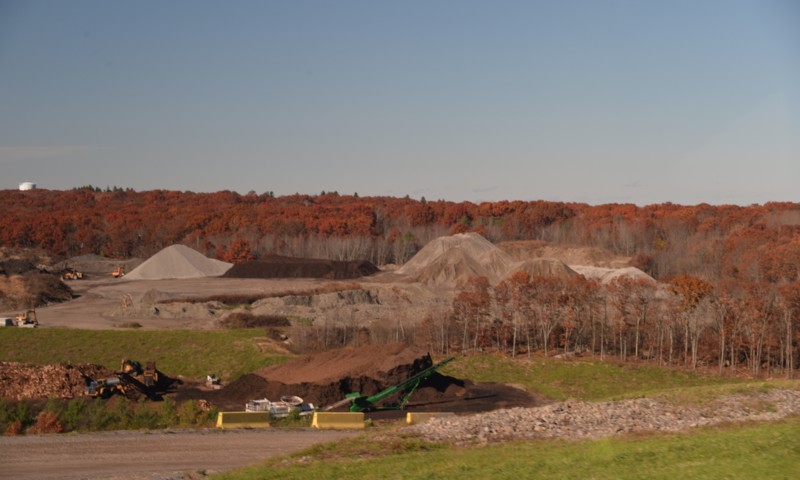 The RIRRC also boasts a robust composting program that processes about 40,000 tons of leaf and yard debris each year. Using an aerobic windrow process, RIRRC turns much of the state’s leaf and yard debris into Class-A compost that is USDA-certified for organic growing and available for purchase. Though, there is much room for improvement when it comes to composting organic material. 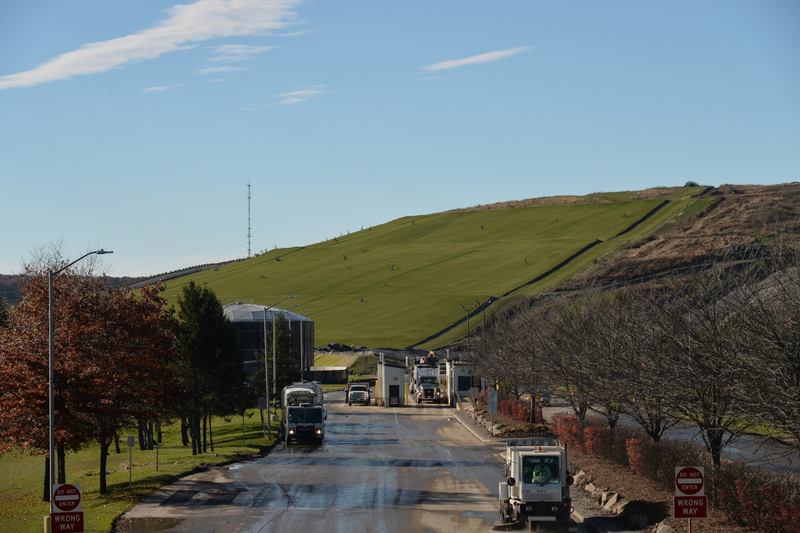 As Rhode Island’s main waste disposal site, the Johnston landfill serves all 39 municipalities in the state and processes approximately 450 tons of trash per day. That’s equivalent to about 37 dump trucks daily. In 2015, RIRRC managed a total of 1,048,000 tons of waste, including municipal, industrial/commercial/ institutional (ICI), and construction & demolition waste. This number does not account for the tens of thousands more pounds of trash that end up as marine debris in our coastal waters and beaches. Since 2006, COA has collected over 115,000 pounds of trash from coastal cleanups on Aquidneck Island alone. While it’s mindless and pain-free to throw garbage in our trash bins, waste management is certainly not cost-free. Currently, Rhode Island cities and towns pay a disposal fee of $39.50 for each ton of trash delivered to RIRRC. This delivery cost, also known as a tipping fee, is expected to jump to $47 per ton in the 2018-2019 fiscal year, which will collectively cost cities and towns $2.2 million. The hike is expected to fund a desperately needed expansion of the landfill in order to keep up with the state’s trash. Still, increasing tipping fees and a 100-acre addition will not solve the much larger problem facing Rhode Island: the Central Landfill is expected to reach capacity by 2034. That’s right, in a mere fifteen years the Johnston landfill will be completely full, and Rhode Island must seek alternative ways to dispose of its trash. There is a fifth alternative that is significantly less costly and has the potential to extend the life of the landfill two-fold, while saving taxpayer money and improving the health of our ocean. According to the most recent study published by RIRRC, Rhode Island has the potential to divert half of the total waste entering the landfill. That’s more than 500,000 tons of waste per year! The study, published in July 2018, finds that more than one-third of Rhode Island’s mixed solid waste (MSW) stream is organic material that could potentially be composted or digested. This includes food waste, leaf and yard debris and compostable paper. In fact, 35 percent of organics currently within the MSW and ICI waste streams can be recovered and diverted from the landfill to an anaerobic digester to produce Grade A compost or renewable energy for the state. The study indicates that an additional 10 percent of total waste currently being landfilled could potentially be recycled through the MRF, with another 9 percent recycled through drop-offs (Eco-Depot and SVA). 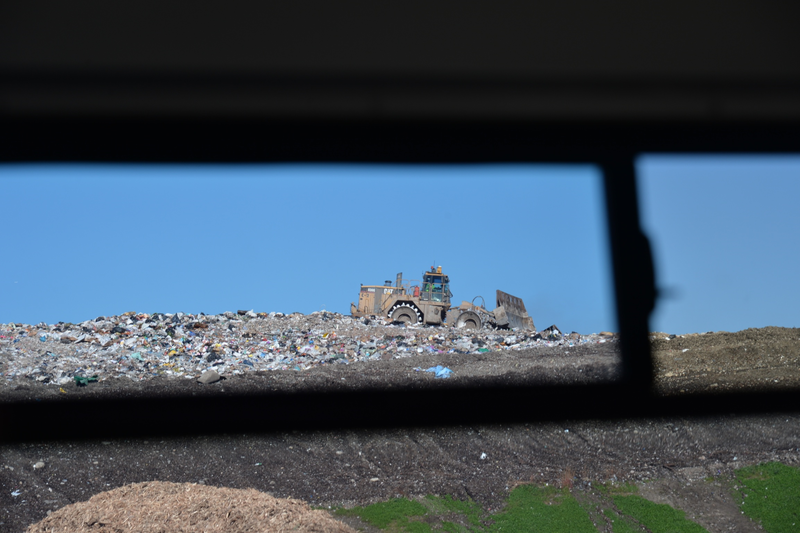 Though the Johnston landfill is expected to reach capacity by 2034, there is potential to buy more time without the high price tag. By diverting half of the trash in the waste stream, Rhode Island can extend the lifetime of the Central Landfill by another fifteen years through 2049. With all this untapped potential to divert food waste, COA is excited to be at the forefront of composting efforts to tackle marine debris in our Ocean State. On December 7th COA is launching Healthy Soils, Healthy Seas RI, a multi-year initiative funded by 11th Hour Racing that aims to inspire long-lasting environmentally responsible behavior by tackling ocean pollution at its root: on land. COA will lead the two-year long initiative, bringing together composting efforts across the state in partnership with existing food-waste-diversion groups, including The Compost Plant, Rhodeside Revival and Aquidneck Community Table. The three partners will serve as the boots-on-the-ground team managing all business and residential composting collection and processing, with a focus on Aquidneck Island. Healthy Soils, Healthy Seas RI comes on the heels of statewide efforts to curb plastic pollution, including Governor Raimondo’s new Task Force to Tackle Plastics and the Zero Plastics Marina Initiative. 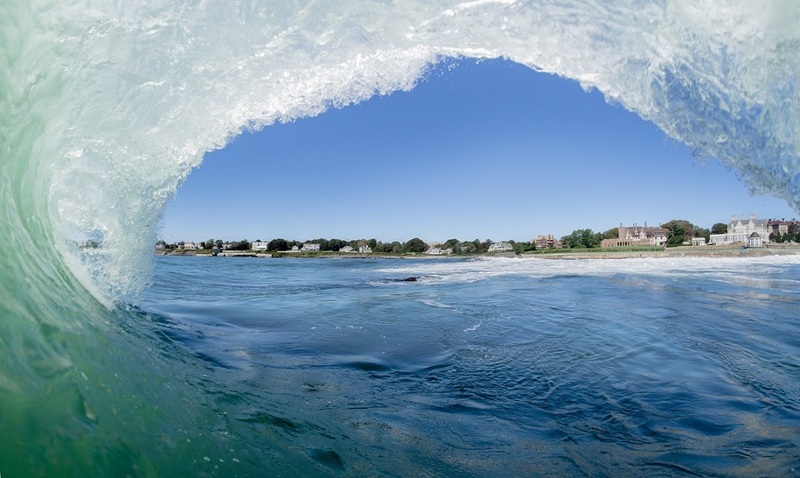 This year, Rhode Island also became the first state to sign the UN Environment’s Clean Seas Pledge during the Newport stopover of the 2018 Volvo Ocean Race. Improving ocean health starts on land with each one of us. Through a comprehensive approach to address land-based waste and litter, Rhode Island is on track to turning the tide on ocean pollution. 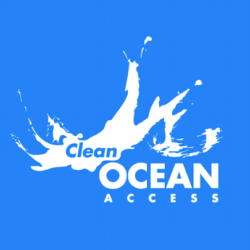 To learn more about Healthy Soils, Healthy Seas RI and how you can be a part of the first wave of participants turning the tide on ocean pollution join us at the launch event on December 7th or email us at: info@cleanoceanaccess.org.